T3’s Weekly Training program returns in 2019! It’s no secret that all the kids can’t wait for the soccer season to start again. 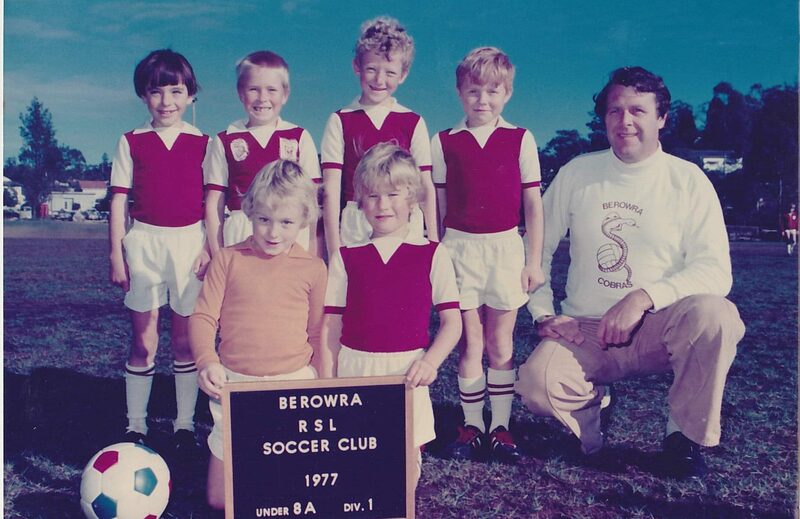 As a development partner of Berowra FC T3 Australia are excited to play a role in providing opportunities for players of all abilities and interests. T3 have developed a culture were children and parents can enjoy skill development outside the winter season. Learning at schools take place year long and we believe the same applies to the one of the most popular sports in Australia. 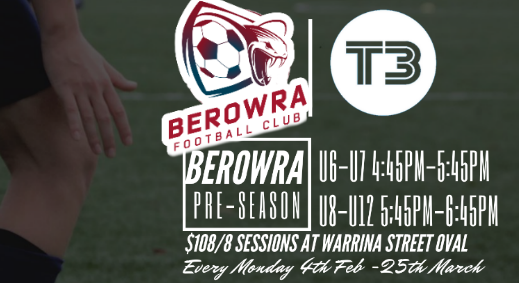 T3 have booked a great venue in Term 1 2019 at Warrina Street Oval to hold the 2019 Berowra Football Club Pre-Season. The program will encourage children U6-U12 to attend every Monday starting 4th of February, and develop crucial skills prior to season start. T3’s renown coaches will be on hand to fast-track individual skills to ensure players are not only ready for the season but super confident. All programs will be kicking off during the second week of school . To secure your spot we ask parents to register promptly to avoid missing out! All details and registration form’s can be found via the link below. 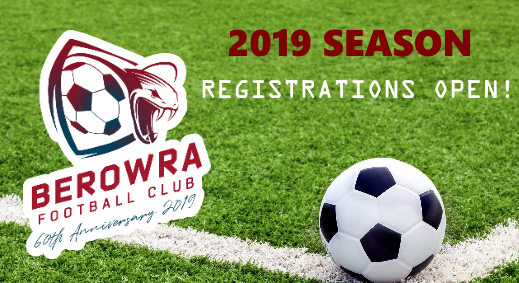 2019 Registrations are now open﻿! We will also be having our club registration day at the clubhouse on Saturday 2nd February from 10am to 3pm if you need additional assistance. Registration fees have increased this year, the significant increase is the new NSFA facilities levy. This levy will be used by the Association to step up and work with local councils to help provide better facilities like Synthetic pitches and improved lighting. It is with great sadness that we hear of the passing of John Mc Dermott on New Years Eve after a battle with cancer. The Club and the surrounding community send there condolences to Bev Andrew and family. John was a valued member of the Football club Community. In the 70s he spent many years coaching and managing teams and also was a member of the committee from 1971 for several years. He held the position of President of the club from 1973-1979. A service will be held at Macquarie Park Crematorium on Wednesday Jan 9th at 2pm in the Magnolia Chapel. Donations to Fred Hollows Foundation in lieu of flowers. 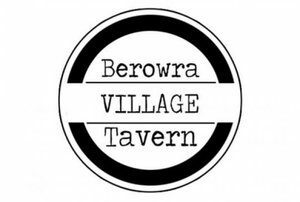 Introducing our new logo to Berowra FC on it’s 60th anniversary. We hope you all like it. A big thank you to Art Director Damian from Intro Kreatik who took time out of his busy day to help us with the new design.